In the second Divinity Dialogues event of the 2014–15 academic year, Sejal H. Patel, MTS '14, and Suzanne Skees, MTS '92, discuss the role of care in their work. Patel is a San Francisco-based writer, criminal defense lawyer, and former federal prosecutor who litigated the exoneration of a Boston-area man who served 10 years in prison for a crime he did not commit. Skees works for the Skees Family Foundation, which supports innovative self-help programs in the U.S. and developing countries in education and job-creation. September 12, 2017 - In our final episode of Season 3, we have a chance to sit down with lawyer and fellow divinity school graduate, Sejal Patel. She chats with us about justice, Hinduism, and the Niebuhr brothers. We also do a last round of owl posts for Harry Potter and the Sorcerer's Stone, hearing your thoughts about friendship, trauma, isolation, and spiritual practices. Inspired by Take 5 Foundation, these workshops teach students at 826 Valencia simple, creative techniques about how to write about family history. Students learn interviewing skills used by writers and attorneys to learn about a specific moment of a loved one's past. They then compose an essay and share it with their classmates. 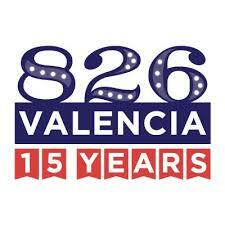 826 Valencia is dedicated to supporting under-resourced students ages 6-18 with their writing skills, and to helping teachers get their students excited about the literary arts. Click here for a lovely video about volunteering at 826. A guest speaker to Broadway on February 26 engaged Convent sophomores in a conversation about assumptions and the prosecutorial system. Students in the “Hislish” class — a combination of history, literature and English taught by Rachael Denny and Michael Stafford — met Sejal Patel, who offered some insight into “circles of blame” within the legal system. Sejal also led a discussion about decisions to leave prisoners in solitary confinement for extended periods, even years at a time. Sejal called on the group to embrace three civic acts: speak up (adding that 78% of OpEd pieces in the NY Times and 83% at the Wall Street Journal are written by men); embrace jury duty when called; and vote.